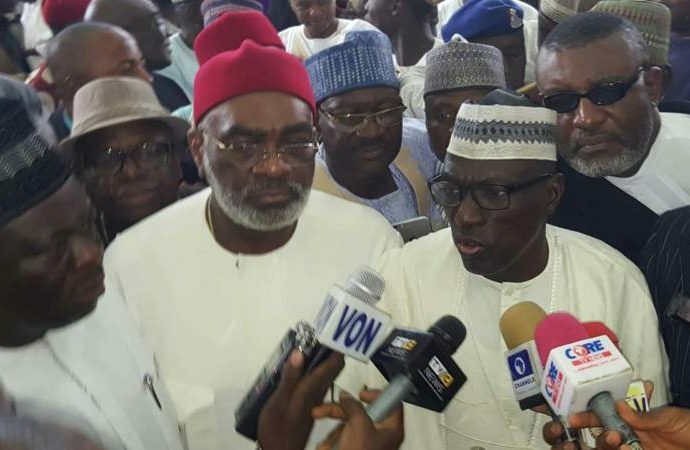 In a meeting on Monday at its national headquarters, the members of the Peoples Democratic Party (PDP) boasted about their intentions for the 2019 elections. The party has said that if restructuring plan continues as planned, it will only take a miracle for them not to win the 2019 elections. Former President, Dr. Goodluck Jonathan also expressed his delight and went further to make positive comments about the intentions of the party. Dr. Goodluck said, “Today is day of joy for all of us, I decided to come to this meeting not to present any speech but. I came to thank the leaders and members of the party. I felt that this first meeting is the best time to come and thank you all for standing with the party. I believe that key decisions are going to be made tonight on how to chart the way forward. Let us cooperate with the party leadership to rebuild the party. All our efforts within this period should be geared towards rebuilding the party. The Ekiti State Governor also urged that all members go back to their villages and work hard for success and stop being Abuja politicians. Deputy Senate President, Ike Ekweremadu who tagged PDP as a ‘Beetle’ as well as Uche Secondus, Nyesom Wike, Dairus Ishaku, Senators David Mark, Godswill Akpabio and many others were in attendance at the meeting.